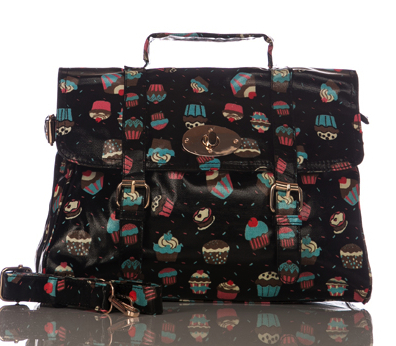 Cupcake Print Handbag For £19.99 LIMITED STOCK! Once its gone, its gone!! Black Cupcake Print Handbag with STRAP!! !